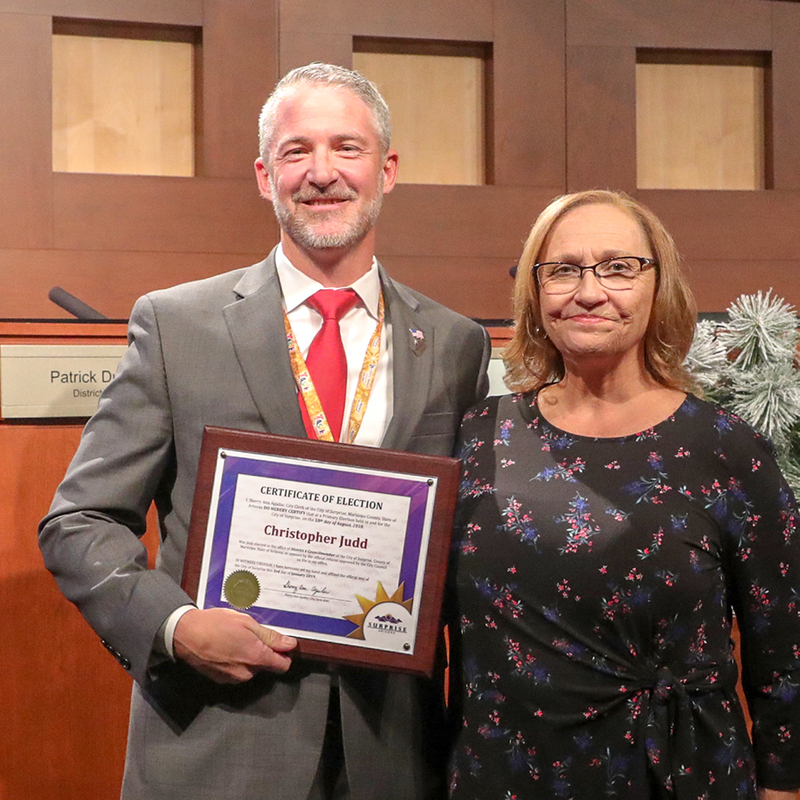 The City of Surprise wrapped up March by hosting the State of the City and City Hall 10-year Anniversary Celebration. The courtyard was a gathering place for residents to enjoy entertainment, play games and listen to music. City departments were on display with tables that hosted information as well as city updates. The Council Chamber was full to capacity with residents and elected officials eager to watch the video production on the growth and future of Surprise. If you happened to miss the event, please watch it in its entirety at www.surpriseaz.gov/SOTC. April 15 at 7 p.m. – Marley Park residents are encouraged to attend a community outreach meeting regarding the creation of a master plan for City Center. If you live outside of Marley Park and would like to attend or hold a similar event, please email me at chris.judd@surprisaz.gov. April 26 at 1 p.m. – The city will host a renaming ceremony for the bridge at Bell Road and Grand Avenue to Veterans’ Bridge. Please watch for updates and more information on my social media page. April 30 at 5 p.m. – Surprise Community Outreach Program grant applications are due. The Community Outreach Program is designed to provide funding assistance to organizations within the City of Surprise for programs, events, and activities that enhance the overall lifestyle of the community. Please visit www.surpriseaz.gov/communityoutreachprogram for the application, complete program details and eligibility requirements. Taste of Surprise, April 6 – Mark your calendars, and bring your appetite! The Taste of Surprise is a charity fundraising event, which is funded in part by a grant from our Community Outreach Program. The event will host some of the West Valley’s best restaurants. For more information and to purchase your tickets, please visit www.tasteofsurprise.com. Waddell Road – This traffic congestion mitigation project will build 1-1/2 miles of roadway between Loop 303 and Reems Road – replacing a two lane (one in each direction) farm road that averages over 16,000 vehicles per day, with a full depth engineered six lanes (three in each direction) arterial roadway including storm water, pedestrian, and bicycle infrastructure and a signalized intersection replacing a four-way stop sign controlled intersection. Expected completion is spring 2020. Greenway Road – This traffic congestion mitigation project will build ½ mile on both sides of the Loop 303 interchange for a total of one mile between Cotton Road and Sarival Avenue, eliminating forced merges due to scalloped road condition and adding a fully signalized intersection. This project includes necessary storm water, pedestrian, and bicycle infrastructure. Expected completion is early 2021. Fire Station 308 – This project will add a new Fire Station for our Fire-Medical Department at Litchfield and Cactus, becoming the first fire station in City Council District 6. It is expected to be operational in spring 2022. Get the latest updates and information on all of our bind projects at www.surpriseaz.gov/decidesurprise. Registration is now OPEN for Adult Sports! This includes, but is not limited to, Baseball, Softball, Kickball, Flag Football and Soccer. Visit www.surpriseaz.gov/250/Adult-Sports for registration details and more information. Abrazo Micro-Hospital, located at Surprise Farms Gateway, will be breaking ground on April 2. SeaCa Plastic Packaging is currently under construction in our city’s industrial district. Trimaco is now open in our industrial district. Nothing Bundt Cakes opened on March 7. SpotRX, located in Ottawa University, had their ribbon cutting on March 27. As always, if you have any questions, concerns, or ideas please feel free to contact me at chris.judd@surpriseaz.gov. As we enter March and the warm weather begins to arrive, there is no better time to get outside and enjoy the benefits of Surprise. Spring Training is officially underway so get your tickets and spend an afternoon at the ballfield. Tickets may be purchased online or at the box office with prices ranging from $8 to $45. The full schedule may be found online at www.surprisestadium.com. Spring cleaning will begin with our residential waste cleanup event. Drop off up to 2000 pounds of residential waste March 9 from 7:00 a.m. – 1:00 p.m. at the Northwest Regional Landfill, 19401 W Deer Valley Road. Please note there is one load per household. You will need to show your driver’s license and a utility bill to show proof of a Surprise home address. Calling all teens! On March 9 from 7:00 p.m. – 10:00 p.m., the City will host the Level 4 Youth Event. There will be dancing, food, art and a view from the 4th level of the parking garage. Free event with high school ID. Please call 623.222.1033 for more information. Sunday in the Park is hosting live music by Lane Change. Come enjoy some great food and music on March 10 from 5 – 8 pm at Mark Coronado Park, 15960 N Bullard Avenue. For more information please visit www.surpriseaz.gov/specialevents. Please visit www.surpriseaz.gov for more detailed information on any of the events, as well as other community activities. As always, please feel free to email chris.judd@surpriseaz.gov with any questions or concerns. City Council approved the Utility Rate Study effectively adjusting the five-year rate schedule for city-serviced solid waste customers at the beginning of fiscal year (FY) 2020 which begins on July 1, 2019. Single-family solid waste customers will pay a monthly base rate of $20.70 starting July 1, 2019 and with another scheduled increase to $23.40 on July 1, 2020. The rate schedule will then increase the rate by $0.10 each fiscal year beginning in 2021, bringing the rate to $23.70 on July 1, 2023. Residential water and wastewater utility rates will remain unchanged in FY 2020-2024. This is the first significant solid waste increase since 2010; a $0.33 rate increase did go into effect in FY 2019. There were no increases for more than 8 years between January 1, 2010 and July 1, 2018. The Utility Rate Study was initiated in November 2018 to review utility base rates and create a five-year structured schedule based on the revenues required to operate utilities and maintain infrastructure while also considering asset replacement and emergency funding needs. Information regarding the Utility Rate Study can be found online at surpriseaz.gov/utilityratesinfo. My name is Chris Judd and I am honored to have been elected as your City Councilman for District 6. I am a native to Arizona and a graduate of Arizona State University. I have been a part of the Surprise business community since the mid 90’s. My family and I have lived here for over a decade and we have experienced the growth and changes that Surprise has undergone in that time. I look forward to working with the City of Surprise and my neighbors to ensure our beautiful community is impacted in positive ways. If you see something that doesn’t seem right, or if you have an idea or concern, please let me know. I am available to discuss any questions or concerns you have so please feel free to email me at chris.judd@surpriseaz.gov. City Offices will CLOSE in honor of Presidents’ Day on Monday, February, 18th. City trash and recycling customers are reminded that collection will be postponed by one day the week of February 18 – 22. Destiny Springs, a new behavioral healthcare facility in Surprise, will have an open house on February 16th from 12 – 4 p.m. They are located at 17300 N Dysart Road. Babe Ruth Baseball registration for 13 – 15 year olds is February 11 – March 22. Teams play games at the Surprise Recreation Campus on the Kansas City Royals and Texas Rangers auxiliary fields. Open House is Saturday, March 2 from 9:00 a.m. – 12:00 p.m. at Fire Station 303, located at 15440 N Cotton Lane. Residents can come out and meet the firefighters, check out living and eating quarters, walk through the bays and see the fire trucks. Drop off up to 2000 pounds of residential waste March 9th from 7:00 a.m.-1:00 p.m. at the Northwest Regional Landfill. One load per household. Please bring a driver’s license and a utility bill to show proof of a Surprise home address. On March 9th from 7:00 – 10:00 p.m., there will be dancing, food, art and a view from the 4th level of the parking garage. Free event with school ID. Please call 623-222-1033 for more information. Please visit www.surpriseaz.gov for more detailed information on any of the events, as well as other community activities. 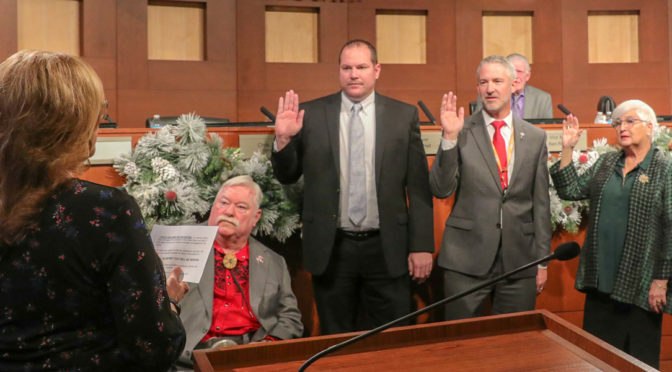 Councilmember Chis Judd was sworn in as the new Surprise District 6 Councilmember at the January 4, 2019 regular council meeting. Immediately after swearing in Councilmember Judd took his place on the dias and joined council for the remainder of the meeting. 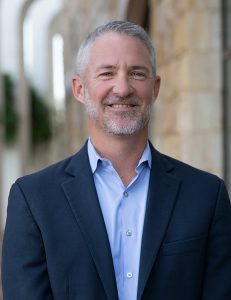 Councilmember Judd elected as the District 6 (D6) Councilmember in the August 2018 will have a four year term ending in 2022. Event date: April 25, 2019 Event Time: 06:00 PM - 11:59 PMLocation: 19753 N. Remington Dr.Surprise, AZ 85374Description:The importance of water conservation will be presented by City of Surprise, ADWR, Epcor, Aqua Trac and Sun City Grand management. Event date: April 26, 2019 Event Time: 01:00 PM - 02:00 PMLocation: 13731 W Bell Rd. Surprise, AZ 85374Description:Come celebrate the official renaming of the Bell Road Bridge to Veterans' Bridge. Event dates: April 24, 2019 - April 28, 2019Event Time: 12:00 AM - 11:59 PMLocation: 14469 W. Paradise LaneSurprise, AZ 85374Description:This national tennis tournament will feature advanced Men's 35 Doubles and Men's 35 Singles, competitors will earn USTA Category I ranking points. Event dates: April 16, 2019 - April 20, 2019Event Time: 12:00 AM - 11:59 PMLocation: 14469 W. Paradise LaneSurprise, AZ 85374Description:The fields will be determined for the 2019 PacWest Men’s and Women’s Tennis Championships. The tournaments return to the Surprise Tennis and Racquet Center in Surprise, Ariz., April 16-20, hosted by Hawai’I Pacific.